Costa Rica, spanish for "rich coast", is a small Central American country, bordering Nicaragua to the North and Panamá to the Southeast. Its territory covers a total area of 51,100 km ², it is bathed in the east by the Caribbean Sea and to the west by the Pacific Ocean. Its capital, political and economic center is San José and its official language is Spanish. Costa Rica is best known for its natural resources and its political stability. While being 8 times smaller than California, the country holds 5 % of the world’s biodiversity and 25 % of its territory consists of protected forests and reserves. Boasting the greatest density of species in the world along with a wide range of landscapes Costa Rica has become a natural paradise with countless things to offer, to visitors as well as locals. Being the first country in the world to abolish its army, Costa Rica has been an example to many nations and continues. It has also demonstrated 6 decades of uninterrupted democracy. Ex-president Oscar Arias (1986-1990 and 2006-2010) won the Nobel Peace Prize in 1987. This is why Costa Rica is often referred to as the Switzerland of Central America. Pura Vida! According to the Happy Planet Index, Costa Rica has been ranked as the happiest country in the world in 2010, 2012 and 2016. The index includes 140 countries across the globe, and compare four elements: life expectancy, wellbeing, inequality and ecological footprint. Capitán Suizo is located on a privileged site, outside of the village, at the end of the Tamarindo bay and right in front of the ocean, our guests can enjoy the warm waters all year round by water activities in quiet scenery and just footsteps from the hotel rooms. The long, sandy beach provides for a 4 kilometer walk or a lovely place to simply relax and sunbathe on a beach chair; many guests get inspired and build their own castle. Due to the fact that Tamarindo Bay has some of the most tranquil currents on the Pacific Coast of Costa Rica it is considered one of the safest beaches in Costa Rica. Ideal for swimming, kayaking, surfing, boogie-boarding, snorkeling and SCUBA diving. Sailboat and catamaran trips are also available; special Sunset-Trips are offered in which the spectacular and renowned sunsets of this bay can be enjoyed. The surrounding areas of the village are great for bicycling and horseback riding. Golfers can benefit from two beautiful 18-hole golf courses only 20 minutes away from Tamarindo and the hotel. Even though our hotel is embedded in a natural environment, tourist do not miss out on the most important infrastructural features such as supermarkets, pharmacies, banks and many other services that you can find in Tamarindo town, Rosa our concierge desk is here to help you. You will find historical and cultural information about Tamarindo in the sustainability link. Tamarindo is one of the most popular and beautiful beaches of Costa Rica. Ideal for surfing (beginners-friendly spots), stand up paddling, swimming, kayaking, boogie-boarding and snorkeling. Due to the fact that Tamarindo Bay has some of the most tranquil currents on the Pacific Coast of Costa Rica it is considered one of the safest beaches for the practice of water sports. Walk along the Tamarindo beach is safe and during low tide you can also walk along the Langosta Beach, to the south. For who want to rest and just relax, there is a wide sandy beach with plenty shaded spaces by the beach trees preserved, the hotel is beachfront, there is a large beach area with loungers and hammocks. Tamarindo town is a very colorful place enriched with culture of people from many different places around the world, but preserving the essence of the Costarican lifestyle. Here you can walk and find many little surf shops, souvenirs, ice cream shops, coffees, yoga centers, bike rentals and many more. We highly recommend to visit on saturdays from 8am -1pm the Tamarindo Farmer's and Crafts Market an activity managed by the ADIT (Integral development association) and a good opportunity to find very special products (local, organic, handmade, among many other added values). You can ask our concierge for the location, you can walk along the beach from Capitán Suizo to there. Several tours are offered to protected areas, such as boat trips trought the Tamarindo estuary where nature lovers can enjoy this natural paradise, declared in 1993 by The Ramsar Convention as RAMSAR site (a wetland of international importance for the conservation of migratory waterbirds) because it is habitat of more than 174 different species of birds. There are only 12 wetland in Costa Rica declared as RAMSAR. 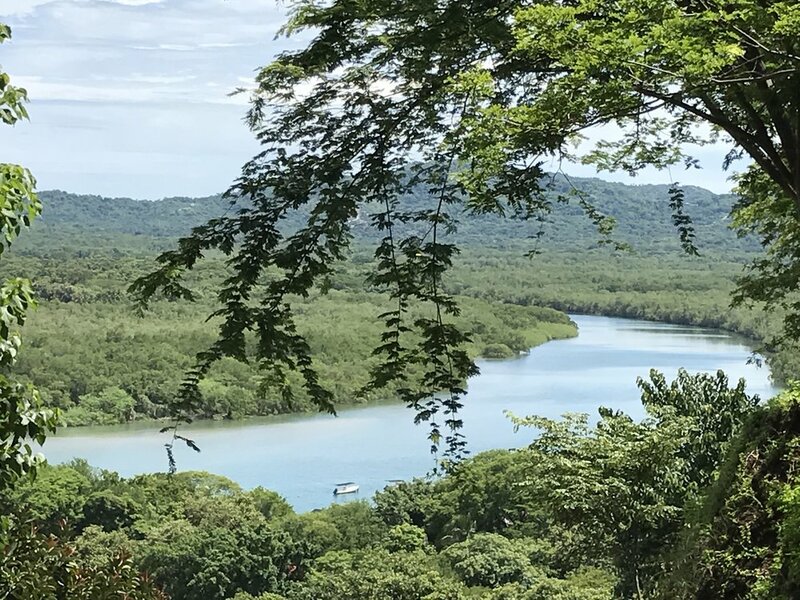 Trips to nearby national parks, like Palo Verde, Rincón de la Vieja, Barra Honda and Tenorio National Park, among others are organized daily. Sailboat and catamaran trips are also available; special Sunset-Trips are offered in which the spectacular and renowned sunsets of this bay can be enjoyed. Golfers can benefit from two beautiful 18-hole golf courses only 20 minutes away from Tamarindo and the hotel. Tamarindo has probably the best selection of restaurants of any beach town on the Pacific coast of Costa Rica. El Barco is the Capitán Suizo restaurant, it is located on the beach and on the side of the pool area, but if you want to explore also another restaurants during your stay, there are many options for every taste. Tamarindo has an offer of around 47 different restaurants. You can ask at front desk or to the concierge, they can give you the best recommendations about gastronomy at town and also they can help you with dinner reservations if it is necessary.